1. 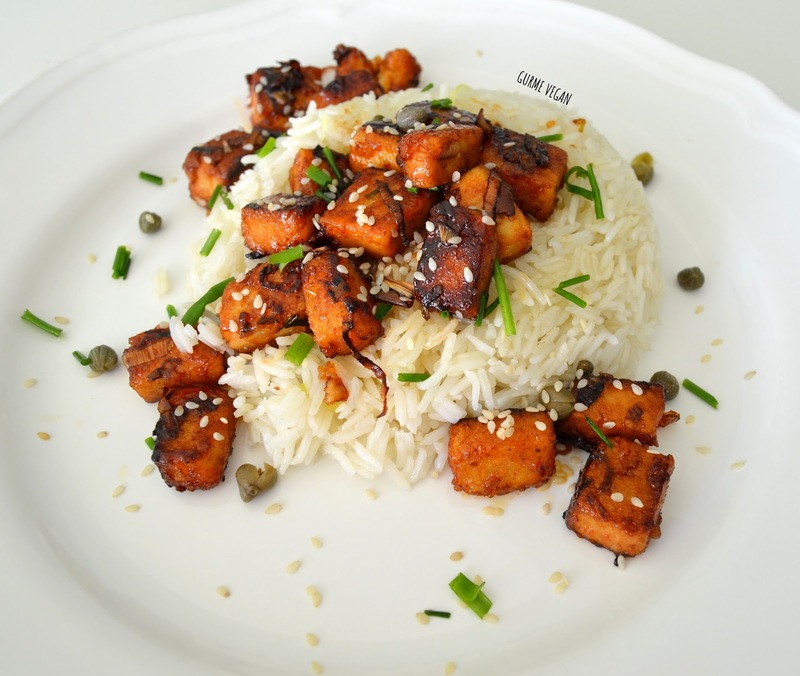 Gently toss the tofu cubes in cornstarch until they are well coated. 2. 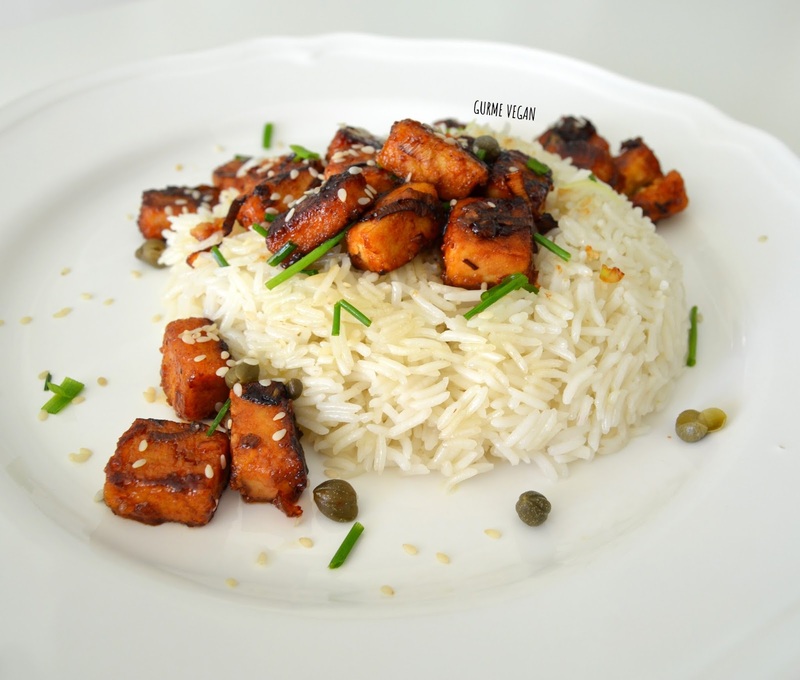 Heat the oil in a pan and add tofu pieces, cook on medium heat for 4-5 minutes or until golden brown. 3. Add all other ingredients into the pan. Stir with tofu pieces well. 4. Cook for 2-3 minutes on medium-high heat. 5. Simmer over medium heat until the sauce thickens. You can add more oil or a little bit water if desired. 6. Decorate with chives and sesame seeds. Serve with basmati rice.